IDEA PER UN ORIGINALE BIGLIETTO D’AUGURI. BRAZIL’S EPIC CARNIVAL… un carnevale alternativo! 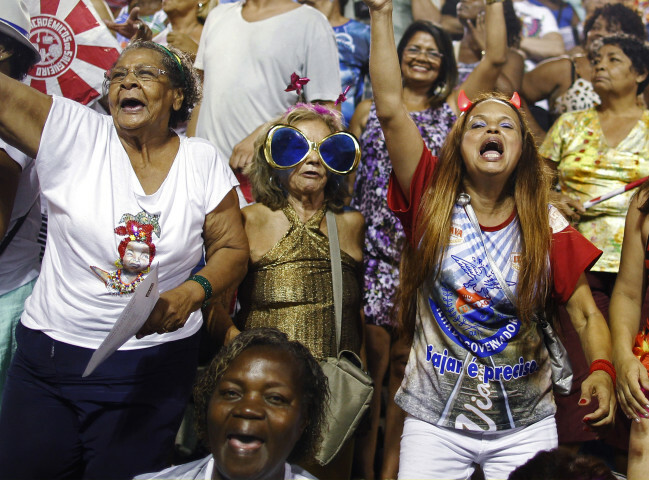 Revelers from the Vila Isabel samba school participate in the annual Carnival parade in Rio de Janeiro’s Sambadrome Feb. 12, 2013.